Six of the best for Horncastle Town? 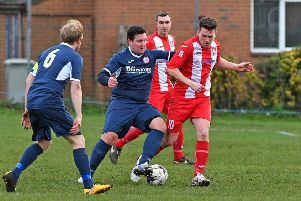 Horncastle Town are looking to stretch their unbeaten run to six matches as they host Immingham Town on Saturday. The Wongers sit one place higher than their Lincs League rivals on goal difference following Saturday’s victory at Grimsby Borough Reserves. And now Mickey Stones’s side - who kicked off their unbeaten streak on December 1 - will be looking to make it two months without defeat. The two sides are yet to meet this campaign. Kick off at The Wong will be at 3pm.